Online video veteran Shane Dawson has had a groundbreaking year on YouTube by launching a new format on his channel consisting of multi–part docuseries. And Dawson’s massively-viewed ventures did not go unnoticed at the eighth annual Streamy Awards, where he ultimately took home three awards — the most of any creator. Dawson won in the ‘Documentary’ category for The Truth About TanaCon as well as the audience-voted ‘Creator Of The Year’ award — which Mongeau accepted on his behalf (see below). His TanaCon series also took home an award for ‘Editing’ that was not presented during last night’s live YouTube broadcast, but rather at a standalone event dubbed The Streamys Premiere Awards on Oct. 20. 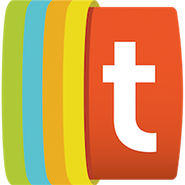 This year’s flagship Streamys show, hosted by comedy quartet The Try Guys — with group member Eugene Yee Lang decked out in full drag — also saw trophy presenter Charo changing into multiple showstopping outfits over the course of the evening. And with the midterm elections just around the corner, onstage presenters like Mamrie Hart, Grace Helbig, Liza Koshy, and DeStorm Power urged viewers to get out and vote. 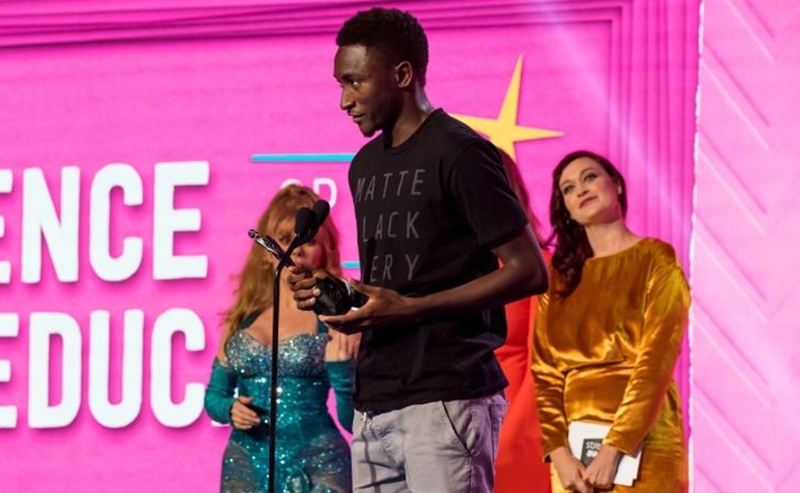 Other notable winners last night included ‘Breakout Creator’ Emma Chamberlain, David Dobrik in the ‘First Person’ and ‘Ensemble Cast’ categories, Vogue’s 73 Questions in ‘Pop Culture’, ‘Storyteller’ Gabbie Hanna, and The Try Guys — who won the second audience-voted award of the evening for ‘Show Of The Year’. 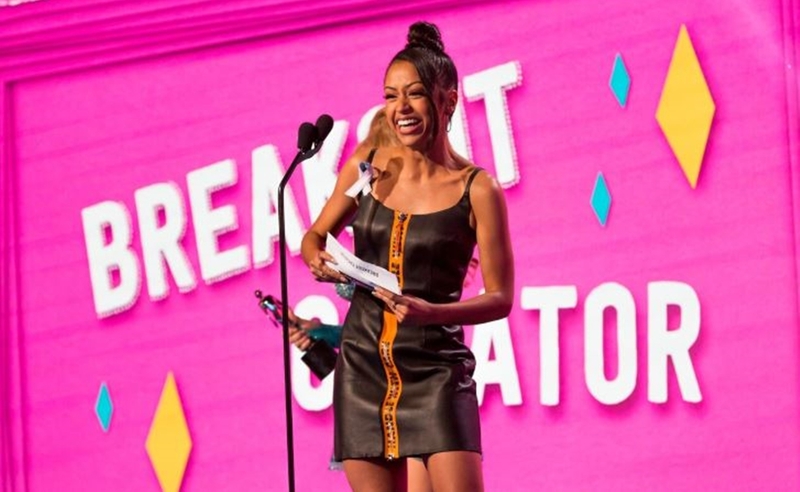 Liza Koshy’s YouTube Premium series Liza On Demand won for both ‘Acting In A Comedy’ and ‘Comedy Series,’ James Charles took home top honors in ‘Beauty’, Marques Brownlee won in ‘Science Or Education’, and Ninja was unsurprisingly crowned the winner in both the ‘Gaming’ and ‘Live Streamer’ categories. See below for a full rundown of this year’s winners — including the 18 statuettes that were presented at the Streamys Premiere Awards. Hannah Hart and Tyler Oakley. Eva Gutowski and Andrea Russett.